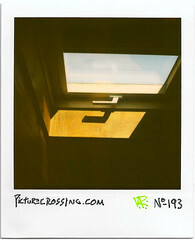 Relationship with skylight handle at Villa Tigli in Venice Italy. 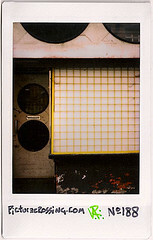 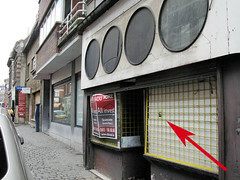 on 7/24/09 in the grid of a deStijl - style storefront which was closed down and for sale along Rue de Bertaimont in Mons, Belgium. 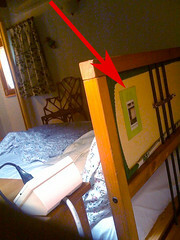 on the back of the headboard of our bed at the Villa Tigli bed & breakfast, on the mainland of Venice, Italy, on 7/19/09, where the skylight picture PX No.193 was shot in the first place.